The DO-IT Center at the University of Washington hosts online Communities of Practice (CoPs) for multiple stakeholder groups. Communicating using email, members of CoPs share perspectives and expertise and identify practices that promote the participation and success of people with disabilities in education and careers. AccessCyberlearning Community of Practice engages with other Cyberlearning projects on how new technologies and strategies for the delivery of online instruction can be made accessible to students and instructors with disabilities. share ideas about seed grants, new initiatives, and lessons learned. policy issues related to creating accessible distance learning courses and programs. provide content for DO-IT’s searchable Knowledge Base. 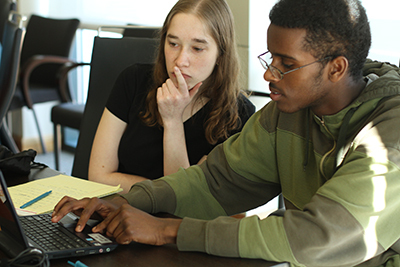 help staff target disability-related articles to computing publications. provide content for the searchable Knowledge Base. 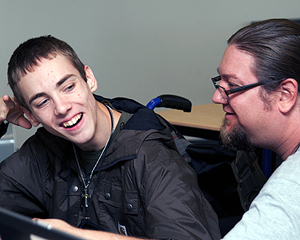 Developing a support program for youth with disabilities that includes residential study on a college campus, in-person and online peer and mentor support, internships and other work-based learning, and access to computers and assistive technology. Promoting the development of and use of technology for people with disabilities. Encouraging the practice of universal design of instruction, physical spaces, technology, and services. Employing strategies to promote institutional change. include disability topics in staff and employee training, outreach activities, and resources. help DO-IT staff target articles to STEM publications. specific topics in the book Universal Design and Higher Education: From Principles to Practice and contribute materials to be shared through the Center on Universal Design in Education.